Generating cash flow is essential to keeping the business healthy and operating smoothly. When the incoming cash halts or is mismanaged, that’s when people begin running into issues that may spiral out of control. A good business owner always stays on top of their cash flow. It’s the lifeline for everything you worked so hard to achieve. I hope you are managing and overseeing where your capital is going to and where it’s coming from. Here are a few things to take note when keeping your business finances in order. You may already be familiar with some of these points but others may be new to you. The coming and going of cash should always be monitored frequently. Whatever you do, you want to avoid spending your cash, without assessing the health of your bank account. Having your eye off of your finances for too long can cause problems to arise for you and your business. You may end up in a hole that you can’t dig yourself out after a while. Having a clear plan of where your money needs to go is essential in maintaining financial integrity of your business. Too many things can get out of hand when you don’t budget your outflow of cash. Having a clearly outlined budget will help you make sound financial decisions for your business. The visual representation will guide you along the right path so you stay focused and only spend money on the essentials. Just like some people get prepared for a storm, or a holiday, they know there will be some additional expenses they will need to deal with.There also may come a time when you realize an event, season change or a trend may require you to fork out additional capital. You need to try and avoid any financial surprises that may befall your business. Include a “what-if” expense when creating a budget. Even if you don’t use it right away, there may come a time when you will be in dire need of it. Open up a line of credit with your bank. Many banks out there offer favorable lending options and credit cards to business owners. Look into those and see if there is anything that catches your eye. Just keep in mind, this doesn’t have to be your main business financing option. You can use this as a last resort if anything were to temporarily pinch off your cash flow. There is always some time period within which you need to compensate your vendors. Now not all vendors are the same – you may be offered more leniency at one place and not so much at the other. Figure out the exact intricacies of your payment due-dates. If you have some wiggle room, take advantage of it. Let’s say you have 90 days to pay, use that to your advantage, don’t always have to compensate them instantly. Be up-front with your vendors. Don’t push your luck too much – you don’t want to ruin your relationship with your suppliers. Getting paid on time is great, what’s even better is being paid up front for your services. Some businesses allow for monthly payment options, financing, etc. The downside of it all, is the slow trickle of cash that makes its way into your bank account. Your best option is trying to get the lump-sum payments up front. Offer enticing incentives to your customer for paying earlier. This will help push those slower paying customers to fork out the sizable chunk of cash up-front. Discounts are always a great way to persuade your customer. Like wise with your suppliers. Ask about what discounts or price adjustments they can offer you with an upfront payment. This may not always be an option but it never hurts to ask. If possible, take advantage of these options. It will save you money and will build a better relationship with your vendor. If your payment terms have not been met, perhaps it’s time to penalize them for not living up to the expectations. This doesn’t have to be anything too obscene. You are not trying to push away your customer with this tactic. Don’t go overboard with your penalty system. The whole point of a penalty is to keep them in line with their financial promises. If they don’t pay up, add interest or a late fee on the top of their obligated payment. Believe it or not, there are always ways to trim up your business and reduce costs. Even if it’s just a minor reduction – the small changes overtime it greatly reduce your operating costs and leave you with more cash on hand. Evaluate your expenses periodically. It will help you stay up to date on how much money is being used for your operations and if any cheaper alternatives have become available. Take inventory of all your equipment you have lying around. Is there anything you don’t use or isn’t working as well as it should? Old equipment that’s not being utilized or is obsolete can be sold to generate some quick cash for your business. Even equipment that you use that’s outdated can negatively impact your productivity. Overtime that can really eat into your potential that you are just not able to reach. We have covered equipment that may be outdated for your business. It was about time to part ways with some of that dusty technology and make room for brand spanking new equipment. Before going to your nearest store and filling up your cart and making those purchases, look into leasing options available to you. Computers, phones, vehicles can be leased in a lot of cases instead of being bought. This can save you a lot of money in the long run, as well as allowing you for easier equipment exchanges once the technology improves. Through leasing, you can reduce costs and improve your productivity with the latest technology. Oh, I almost forgot to mention. Leasing equipment for business still counts as a business expense on your taxes. Just something for you to consider. Keeping track of your invoices is one of the most essential things you can do to help manage cash flow. Invoicing allows you to know exactly what your income sources are and when their payments are due. If you haven’t already, I strongly suggest to make the switch to online invoicing. 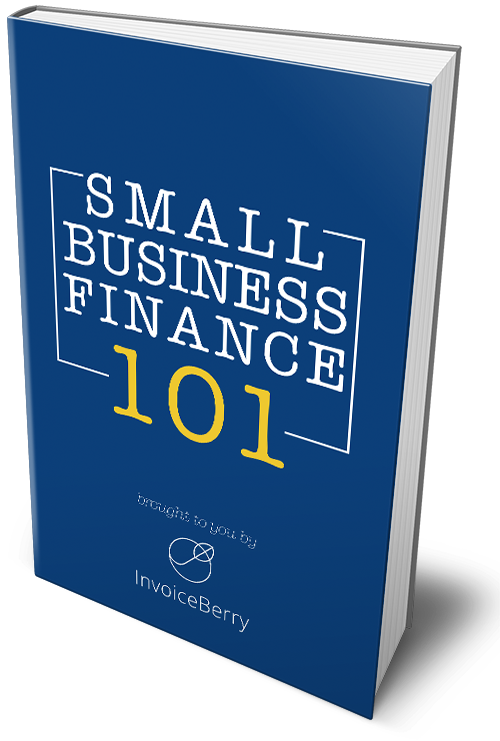 Online software such as InvoiceBerry will keep you up to date of all your incoming and outgoing cash. You always need to stay aware of where your money is going and how it comes back to you. It’s a never ending process – but a process that is crucial to your business prosperity. Keep these things in mind when managing your business finances. Make sure that fiscal responsibility becomes second nature to you. Everything else will be easier to manage when you know you are in the clear and your cash isn’t posing a threat.